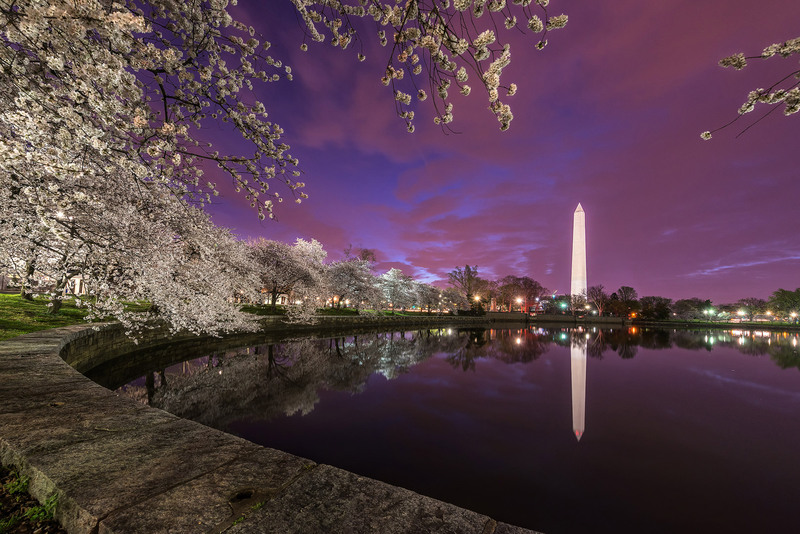 2015 Cherry Blossoms in Washington DC. This is my fifth year I have captured the blossoms around the Tidal Basin and every year I ask 'what else is there for me to capture?' Well, this is a prime example why I keep going back, it seems I always end up with a keeper every year. What started off slow with four of my buddies here did not last long by the time sunrise came.